Mr. Kahn has demonstrated success for those facing criminal charges, whether a misdemeanor (a lesser offense than a felony which is punishable by up to one year in county jail) or a felony (an offense which is punishable by more than one year in state prison) in Westchester County, New York and throughout New York State. In New York, misdemeanors are separated into three types of offenses: Class A, Class B, and Unclassified. Class A misdemeanors are more serious than Class B misdemeanors. Unclassified misdemeanors include both more and less serious offenses. Class A misdemeanors are punishable by not more than one year in jail or three years probation and not more than $1,000 in fines. Class B misdemeanors are punishable by not more than three months imprisonment or one year probation and not more than $500 in fines. New York uses five categories and two subcategories of felonies (A-I, A-II, B, C, D, and E) ranging from the most severe to the lease serious offenses. In the New York Penal Law's description of each offense, the degrees of an offense determine the seriousness of the crimes. For example, burglary in the second degree is a Class C felony while burglary in the first degree, the more serious offense, is a Class B felony. Individuals may also be charged with a violation, an offense other than a traffic infraction, which is not a crime but which may be punishable by up to 15 days in prison. Common types of violations are harassment, trespass and disorderly conduct. One arrested for committing a violation may be taken into custody but will usually be issued an appearance ticket indicating the time and place to appear in court. We have been successful in negotiating plea bargains for clients charged with more serious offenses to plead guilty to violations, without serving any prison time. With respect to any criminal matter, we suggest that you call us as soon as possible in the process and not speak to anyone other than your counsel about the particulars of your case. Upon contacting us, we can discuss the implications of the alleged charges. Generally, your prior criminal record, if any, and the severity of the charges will dictate the seriousness of a particular case. 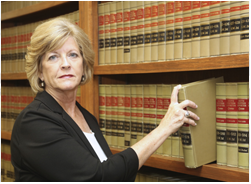 We are familiar with the courts and respected by the Judges and District Attorneys which is beneficial in obtaining the most favorable outcome on your behalf. ZTL ("Zero Tolerance Law"), which is implicated when a driver under the age of 21 years old drives with a BAC of .04 to .07 in New York. 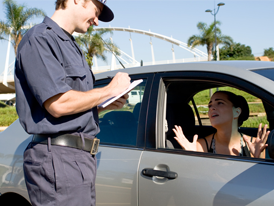 We can assist you with any type of motor vehicle related ticket such as a speeding ticket or a reckless driving charge that may warrant the assistance of an attorney. While we cannot guarantee that we can obtain a dismissal of your charge, we are often able to obtain a significant reduction that is to your benefit. Our primary goal is to obtain the most favorable outcome to protect your driving record and insurance rates by reducing the amount of points you will receive. 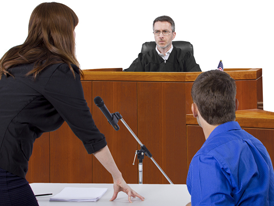 In most cases, we are able to appear in court without you, and obtain a dismissal or plea bargain, provided you execute a waiver of presence on our behalf. If we determine that your traffic related matter is minor and can be resolved without the assistance of an attorney, we will so inform you. For example, it is often uneconomical to seek our assistance for an equipment related matter that can be resolved without accruing any points on your driving record. For a discussion of alcohol or drug related driving offenses such as DWAI ("Driving While Ability Impaired"), DWI ("Driving While Intoxicated"), and Aggravated DWI ("Aggravated Driving While Intoxicated"), see our section entitled "Criminal Defense" under Practice Areas. Mr. Kahn has over a dozen years experience in the area of litigation. His experience includes commercial litigation matters and consumer protection matters. Mr. Kahn's litigation practice covers a broad range of matters such as contract disputes, real estate litigation, landlord tenant litigation, employment related matters, and estate related litigation. His responsibilities have included all aspects of litigation, including trial and appellate work in state and federal court throughout New York. When necessary or required, he has resolved matters through mediation and arbitration sessions. We can assist you with family law related matters, including the areas of child support, custody, visitation, orders of protection, divorce, spousal support, maintenance, and prenuptial and postnuptial agreements. We are happy to sit down with you and discuss what the law requires in relation to your situation.